The Christian Camp Leader: Thanks For Downloading Your Free eBook! 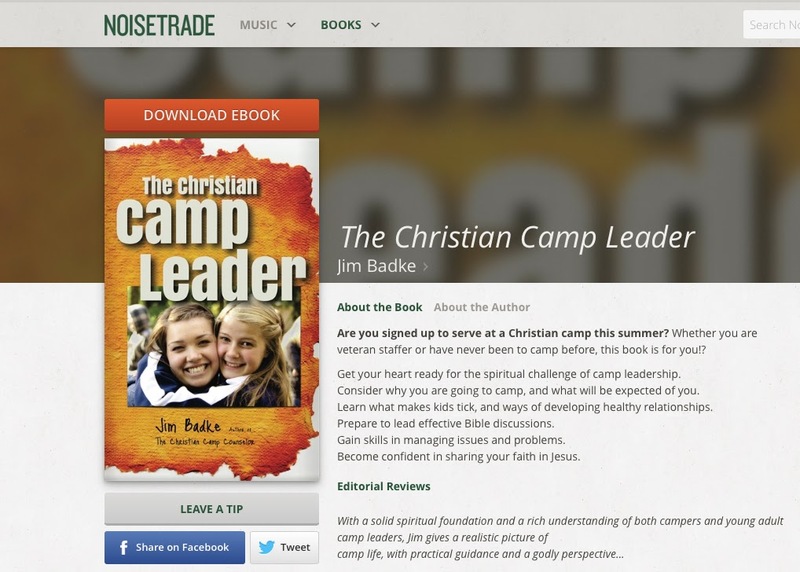 Quite a few people have taken the opportunity to download a free eBook copy of The Christian Camp Leader during the week that it has been up on NoiseTrade.com. I hope you will also take the opportunity to read the book before you go to camp this summer! Even veteran camp people are in need of some pre-camp training that will get your mind and heart ready to join Jesus in his work at your camp. Check out this great article, a description of what it means to be a camp leader. May God bless your summer with clear evidence of his grace and gifting!